The worldwide leader in orthopaedic therapy products, the Obus Forme brings you products engineered for the human body. The product line features a comprehensive range of products including backrests, seats, pillows and sensory therapy devices. Founded by renowned podiatrist Philip J. Vasyli, the Vasyli brand of orthotics are blazing a new revolution in pain management. Vasyli Medical’s unique and innovative orthotic products line ensure that you will be walking pain free and back up to speed. Revere sandals provide all day comfort and support by enhancing foot health for those experiencing heel pain, tired aching feet, sore knees and lower back pain. revere sandals provide all day comfort and support by enhancing foot health for those experiencing heel pain, tired aching feet, sore knees and lower back pain. Tuli’s Heel Cups are the #1 Podiatrist recommended Heel Cups in the world. Nothing works better or lasts longer than your Tuli’s Heel Cups. They are literally shock absorbers for your feet! It offers you the maximum performance and protection when you need it the most. 99 Technologies is a company which engineers and manufactures innovative and highly effective disinfection systems with the goal of significantly reducing the incidence and the effects of Health Care Acquired Infections. HOT & COLD SOFTGEL Pack Reusable and Washable Non Toxic safe use with Children. For the instant pain relief from strained, sore and aching muscles, Head, Neck, Tooth Aches, Bruises, Fevers, Minor Burns, Abrasions and Bites. Your Goodnight’S Sleep Is Our Priority. Ergonomically Designed For Your Neck For The Mode With The Highest Quality Of Memory Foam For A Comfortable Night Sleep. Ergonomic Design With Firm Support And Comfort. We at Kingston Healthcare provide wide range of products which helps the patients in rehabilitation of various suffering due to these musculoskeletal disorders. We had Orthopedic Knee Support, Neck Support, Back Support and wide range of other Orthopedic Supports. 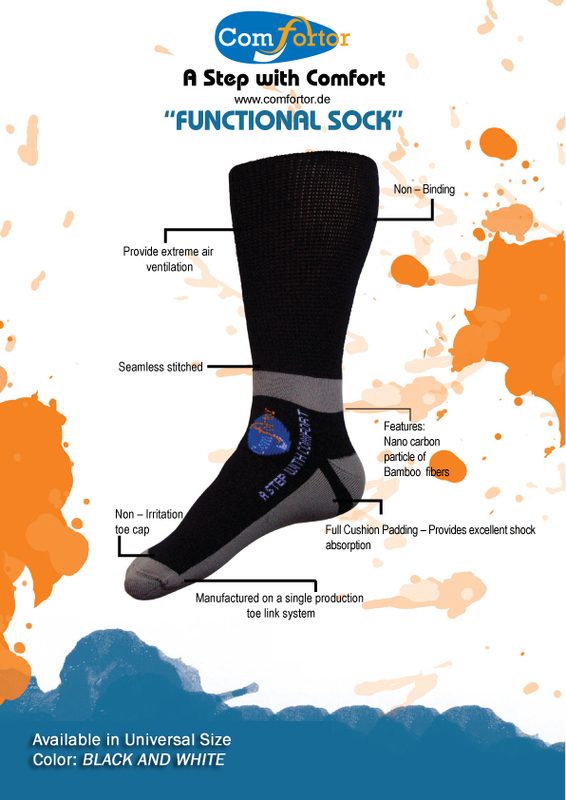 Comfortor Functional sock delivers on their promise of foot comfort and health because of the engineer design, technology, extra features, and the textile technology. This technology allows you having the ultimate sock so you can enjoy cool, dry feet in a race; Escape worries for people with Diabetes with Comfortor Funtional Diebetes sock. The Scholl Biomechanics range of shoes and sandals helps to control the position of the feet and to reduce the amount of instability in the feet. Arch flattening and instability can cause stress in the body leading to foot, leg and even the lower back aches and pains. Flopeds are the next step in the evolution of the classic open footwear. When creating our supportive flip flops, we took into consideration the anatomy of the feet and what happens when you take every step. By engineering our kids, TAF3 and Laguna series to the actual specifications of the foot, Flopeds are not just good for keeping sand away from your feet, but also provide great support and control. Get To Know More? Let's talk about how we can help you!